Below you can view all the homes for sale in the The Highlands subdivision located in Denver Colorado. Listings in The Highlands are updated daily from data we receive from the Denver multiple listing service. To learn more about any of these homes or to receive custom notifications when a new property is listed for sale in The Highlands, give us a call at 720-729-2320. Photos are of Model Unit which is a slightly different floor plan from this unit. MLS#7061989. TreeHouse Real Estate, LLC. Just steps away to shops, restaurants and boutiques in Highlands Square. MLS#6016087. O'brien & Associates Inc. 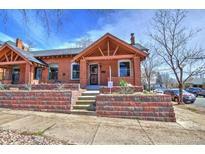 Please, contact Steve Titus with any and all questions 303.229.8474 MLS#8079250. RE/MAX ALLIANCE. New roof, windows, radon mitigation system, siding and more MLS#3994399. MB First Choice Real Estate Brokers LLC. Close to everything including Highland Square, restaurants, shopping, bars, parks, minutes to Downtown Denver, Downtown Aquarium, Mile High Stadium, Coors Field, Pepsi Center, LoHi, Tennyson Street, Sloans Lake, plus much more!! ! MLS#7631116. MB Denver Colorado Realty Source. Furniture negotiable on a separate bill of sale. Amazing quality of life. MLS#1585634. Keller Williams Integrity Real Estate LLC. Relax on your private stamped concrete patio. Quiet street with no through-traffic. MLS#3720335. COLDWELL BANKER RESIDENTIAL 54. Photos are of Model Unit which is a different floor plan than this unit. MLS#2785548. TreeHouse Real Estate, LLC. Photos are of Model Unit which is the same floor plan as this unit. MLS#3198857. TreeHouse Real Estate, LLC. It reeks quality!To whet your appetite:totally remodeled baths,hardwoods throughout main & upper levels, plantation shutters,executive office,invisible fence,fabulous patio w/park-like landscaping,remodeled kitchen w/ huge island,newer interior/exterior paint & roof,newer carpet,double-sided fireplace w/ blower,permeable paver driveway, custom woodwork/cabinetry throughout,finished garden-level bsmt,custom wood&wrought-iron railings,amazing utility/laundry room&mini stream thru back yard.Layout is unique:addition is main level, original house is upper level & basement, w/ fewer steps.Proximity to downtown is coveted.A truly unique fabulous,beautiful home w/ modern features for someone wanting a blend of new & old. MLS#4614836. RE/MAX Professionals. Mid-point between Highland Square, Tennyson St. & Sloans Lake...this location rocks! MLS#7976251. NOSTALGIC HOMES. Incredible large corner deck creates an amazing outdoor living space. MLS#8195193. RE/MAX of Boulder. Enjoy years of low maintenance with major systems all recently updated: 1 year-old furnace, 2-year old A/C & 2-year old roof. MLS#7209705. Gunlock Homes. New furnace, water heater, roof, and exterior paint. MLS#5557552. Tremont Realty Group. Don't miss your chance to take advantage of this amazing opportunity! MLS#5567348. LISTINGS.COM. New sod coming soon to the back yard. This property will not disappoint. MLS#3021829. Rex Homes LLC. Decks, Stamped Concrete, Water Feature, Veg Garden All Surrounded By The Most Incredible Gardens You’ll Find! 3 Car Gar W/ Workshop! MLS#1524277. NOSTALGIC HOMES. Call now to schedule your personal showing! MLS#3835546. TRELORA. Truly a unique gem in one of Denver’s best locations. MLS#8264178. Compass Colorado, LLC - Boulder. Photos are of Model Unit which is a different floor plan than this unit. MLS#3213008. TreeHouse Real Estate, LLC. Photos are of Model Unit which is a slightly different floor plan from this unit. MLS#6598540. TreeHouse Real Estate, LLC. Photos are of Model Unit which is a different floor plan from this unit. MLS#5789255. TreeHouse Real Estate, LLC. Photos are of Model Unit which is a slightly different floor plan from this unit. MLS#2787048. TreeHouse Real Estate, LLC. Photos are of Model Unit which is same floor plan as this unit. MLS#2488345. TreeHouse Real Estate, LLC. Photos are of Model Unit which is the same floor plan as this unit. MLS#6567233. TreeHouse Real Estate, LLC.